Perhaps this is why I cannot bring myself to eat them. 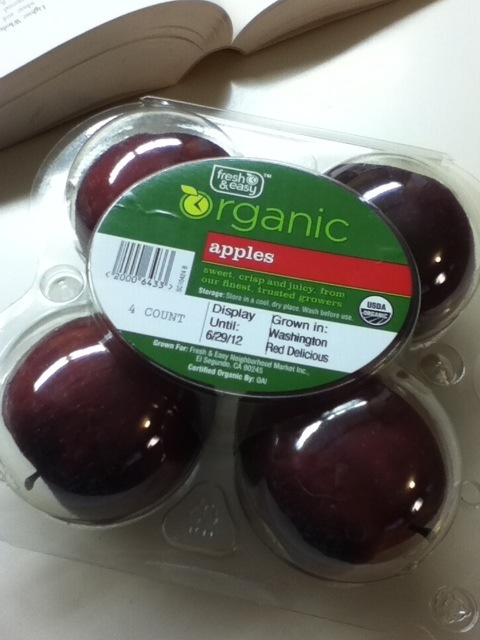 This entry was posted in cooking and tagged fresh and easy, organic apples, organic produce, over packaging on June 23, 2012 by thumbstumbler. I don’t know, but this is the kind of thing I might have pictured while reading Brave New World in HS…..did they also come out of a machine? The fruit of some “organic robot” tree? I could play pool with those things.